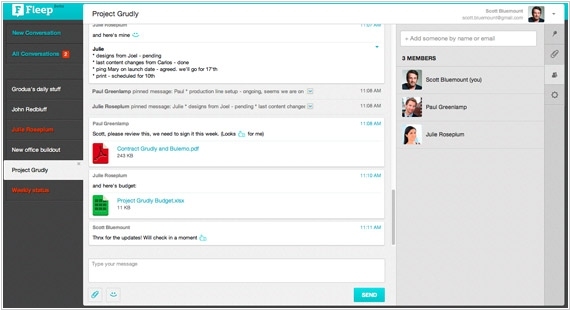 Fleep is chat for teams and businesses. Your files and messages. Always in sync. On all devices. Team communication is now a simple, common-sense thing. Fishing for someone’s wise words in an ocean of chat? Instead, pin important messages to the side so everyone can see and edit them. Task lists, meeting notes, important links, etc. As with messages, trawling for files in a long conversation wastes your life. In Fleep, all photos and documents have a nice clean drawer on the side tab, next to the conversation flow. 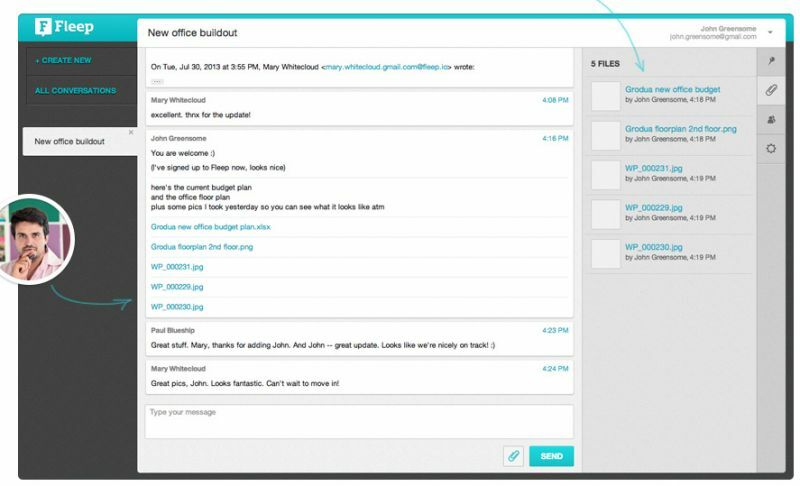 Mobile team messaging app Fleep takes another step further in its mission to help wean you off email. It has introduced what it calls ‘Fleep ID’, a username that you can hand out to contacts with whom you’d like to converse via Fleep. However, because a Fleep ID is email compatible (something like user@fleep.io) — it can be used over time to wean yourself off email. Any messages sent to your Fleep ID, even if they are from somebody who isn’t a user of the messaging app, show up in Fleep, threaded and sorted by participants and with all of Fleep’s other features in tact. These include the ability to add additional participants to a conversation (including non-Fleep users via email), pin a message to your to-do list, see if a message has been read, and access your ‘file draw’, a single place that surfaces file attachments relating to a conversation. Fleep, the team messaging app, is introducing a freemium revenue model that sees users on its paid tier — €3 per month per user — get access to unlimited message history and files, while free users can only access messages from the last 30 days. Premium customers are still able to communicate with non-core team members or external partners on an ad-hoc and free basis, keeping the service as a viable alternative to email. In addition to unlimited message and file history, Fleep will soon add “advanced management features” for subscribers to its paid-for Premium service, including team management and administered chats — giving company admins the ability to add and remove users from Fleep chats.